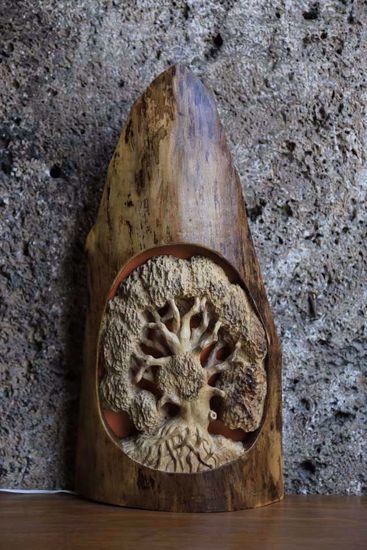 Wood Carving Art - "Escape from Darkness". 3D Wall Art for your Living Room as a Rustic Home Decor. An Original Artwork for You. The Escape from Darkness is carved from Walnut. There is no dye and stain involved. Wood has been finished with natural wax. 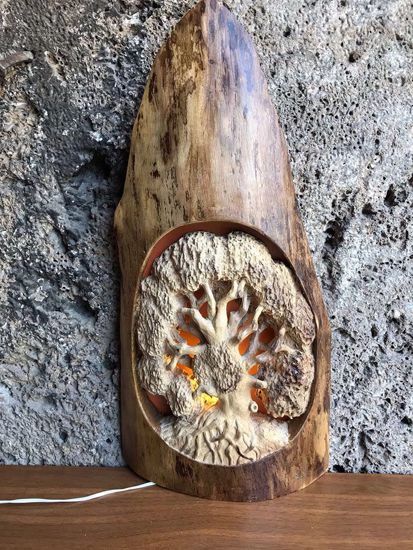 There is a lamp installed inside the carving. It also can be used as a decorative lamp.